The P.E.O. Program for Continuing Education, established in 1973, is a need-based program providing one-time financial assistance to women whose education has been interrupted and who find it necessary to return to school to complete a degree or certification that improves their marketable skills for employment to support themselves and/or their families. P.E.O. 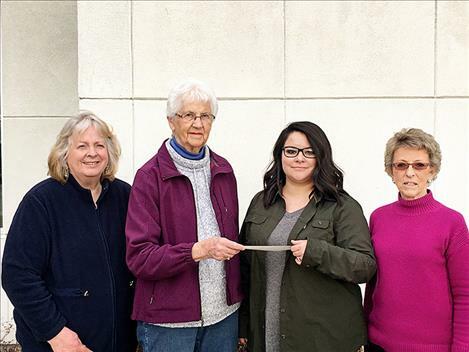 Chapter BS committee members Kathy Senkler, Marilyn Koester and Ann Henricksen presented this year’s recipient Maxine Martinez with a check for $1600.